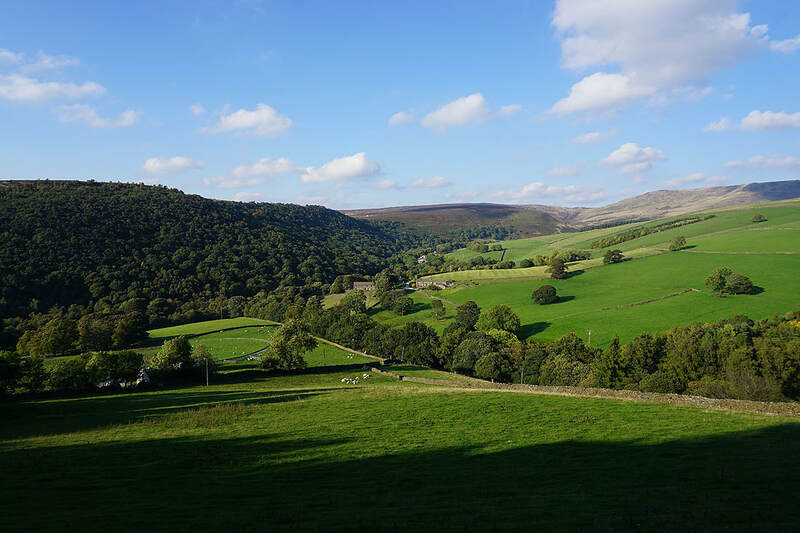 It's not often that the weather is exactly the same two days in a row in this country (this summer had some exceptions) and it wasn't this time. 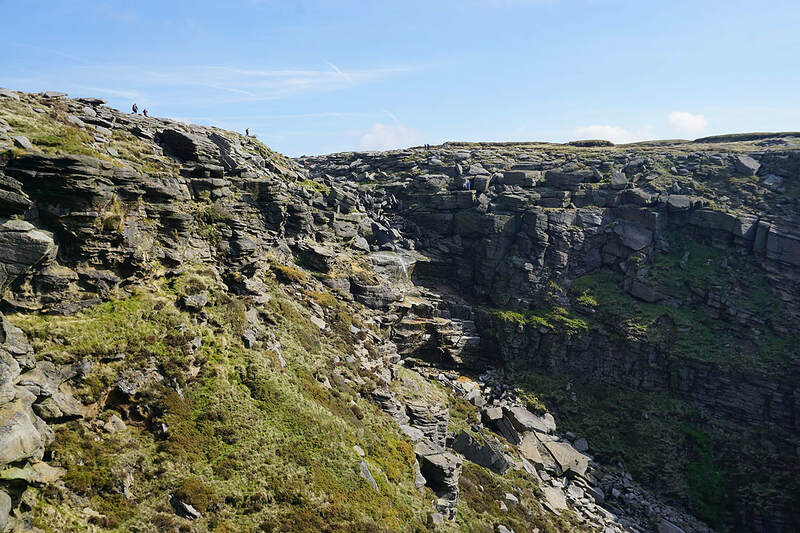 The gloriously sunny skies and light winds that I enjoyed on Great Whernside yesterday hadn't lasted. 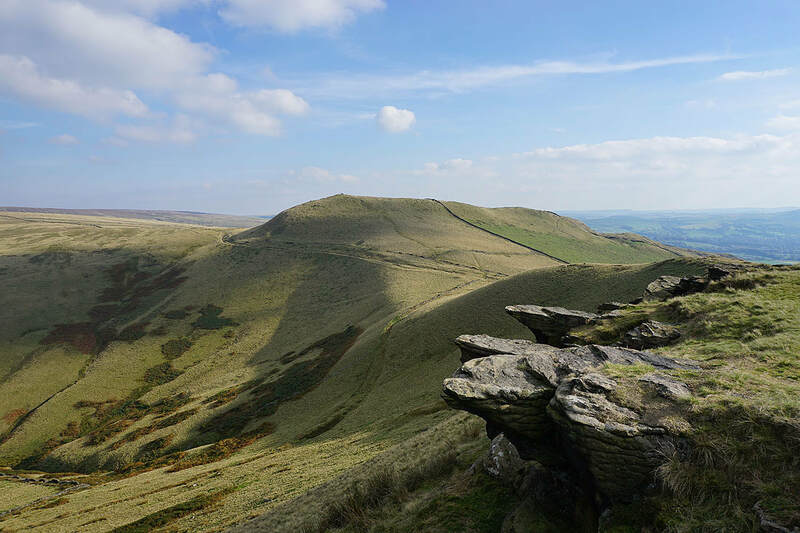 I had to travel south into the Peak District today to find the best conditions. 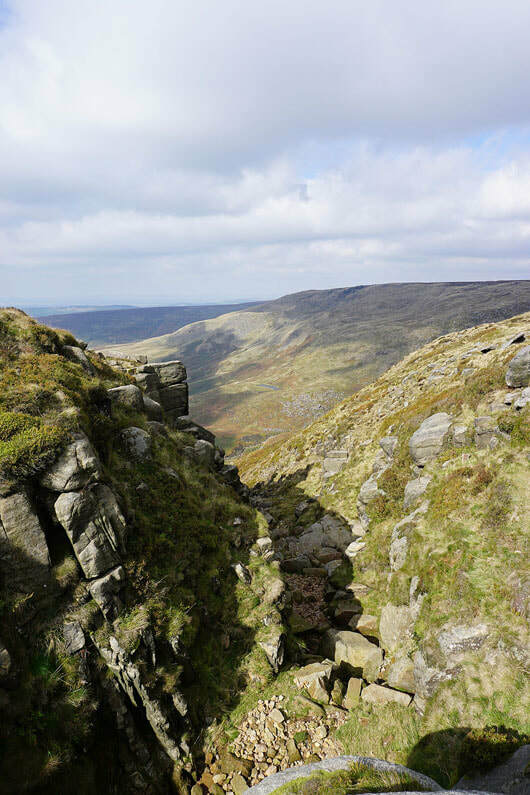 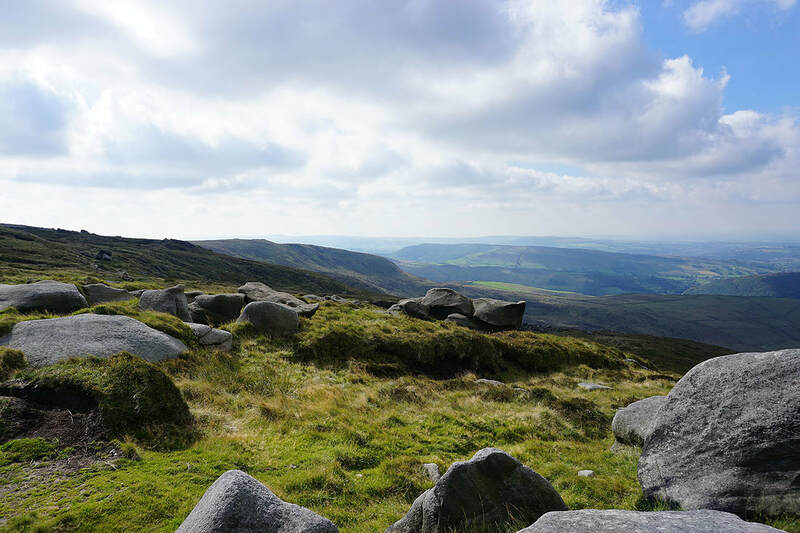 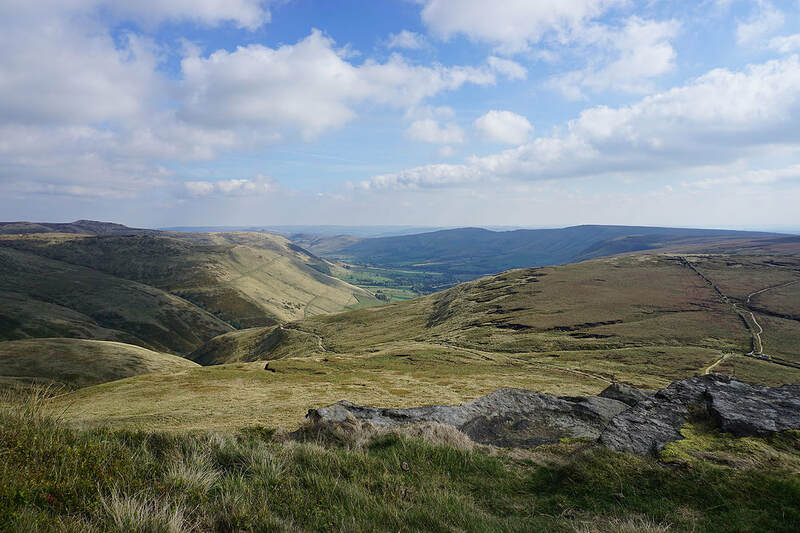 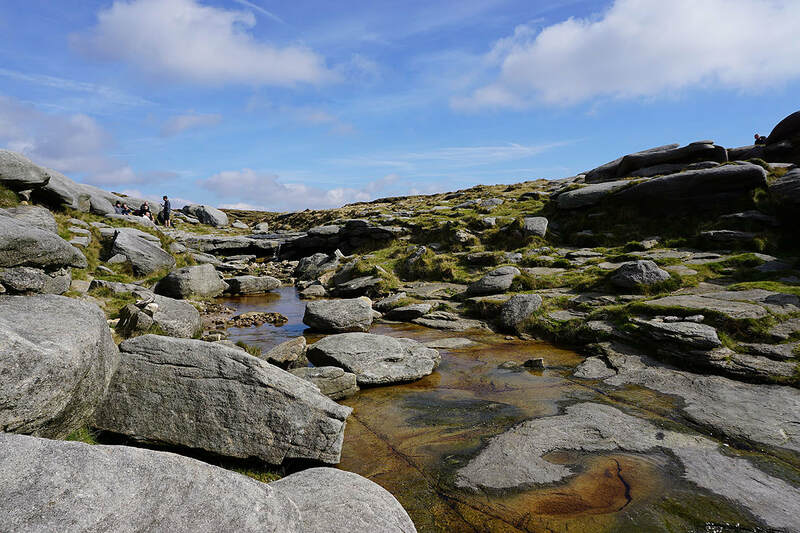 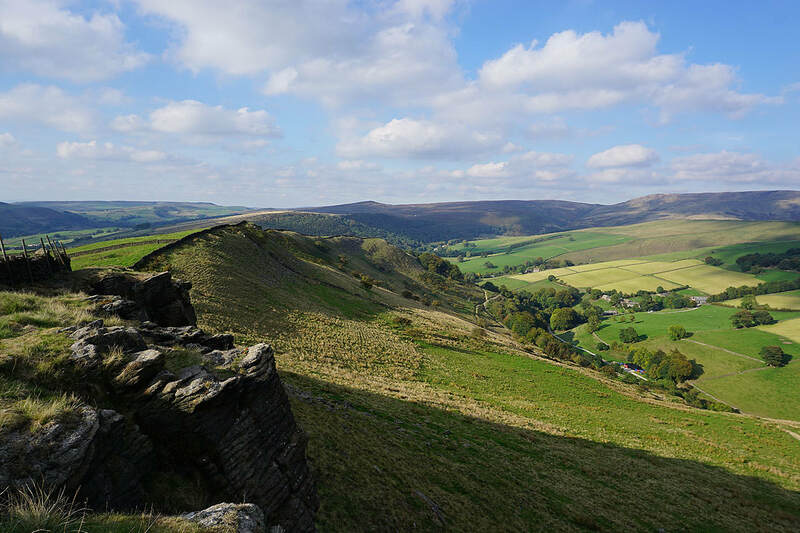 The southwestern corner of Kinder Scout from Bowden Bridge is a walk that I've done a few times now but it's not quite long enough to make it a full day's outing at this time of year. 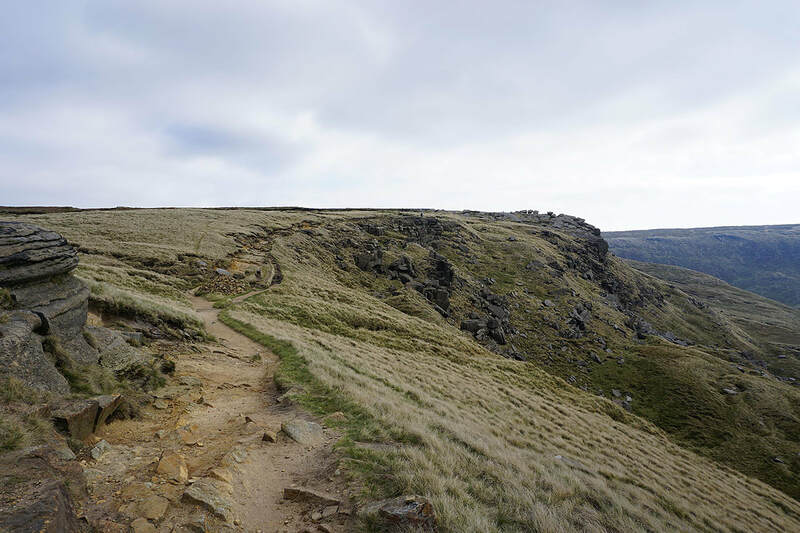 I decided to make it one by adding Brown Knoll, South Head and Mount Famine. 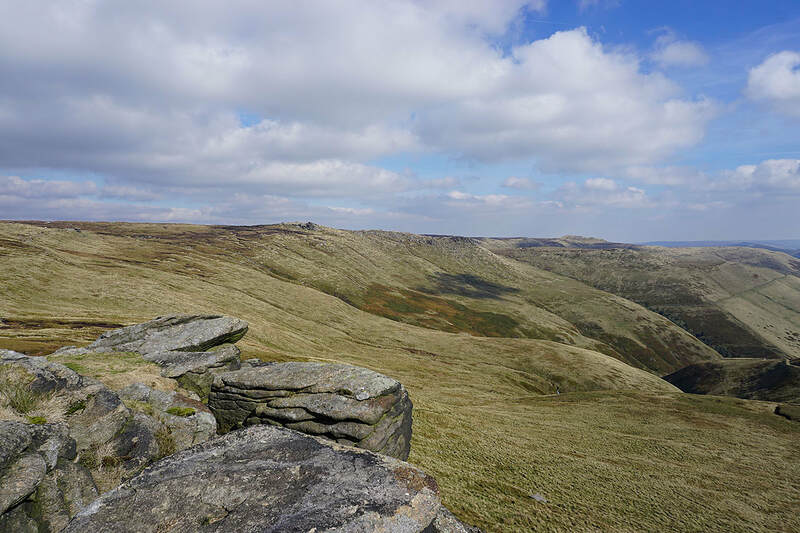 I set off from Bowden Bridge under sunny skies but as I climbed William Clough to reach Kinder Scout the wind picked up, it clouded over and became quite grey. 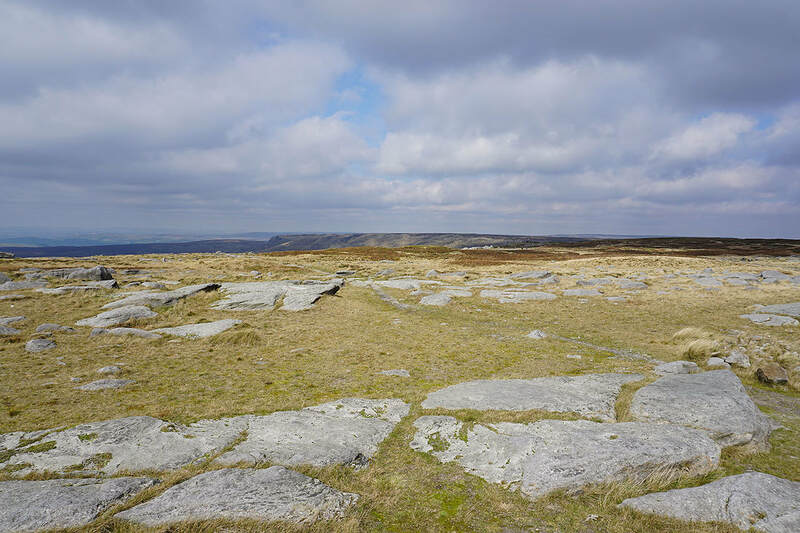 Fortunately the weather improved after midday, the cloud broke up, it became sunnier and it felt quite warm when it was out. 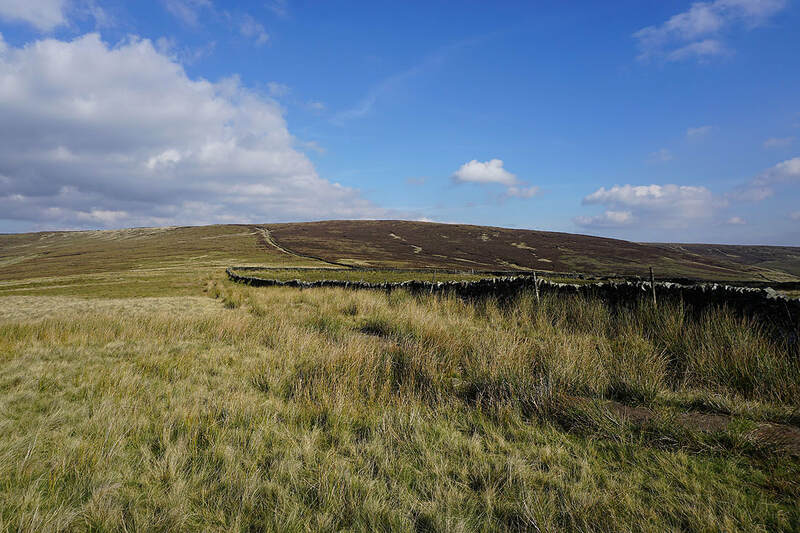 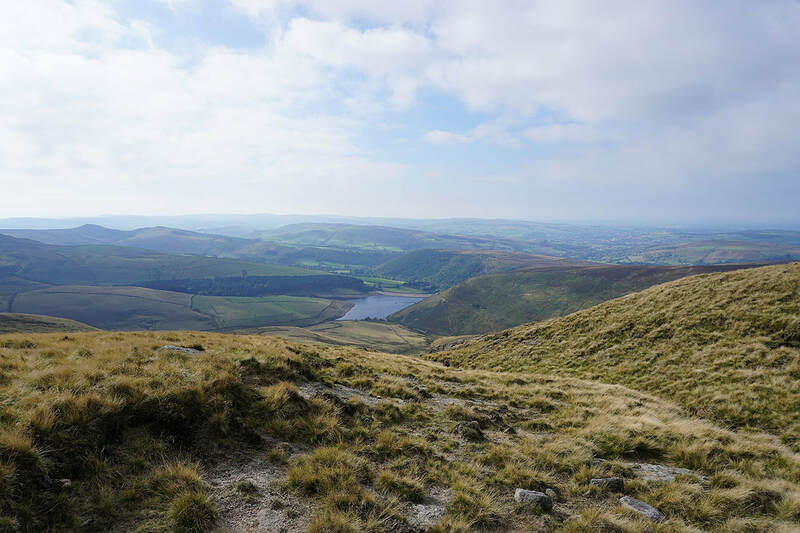 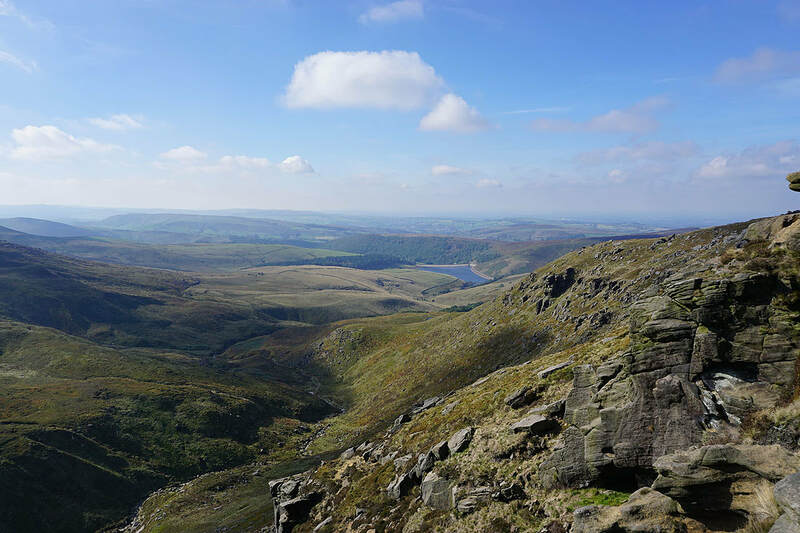 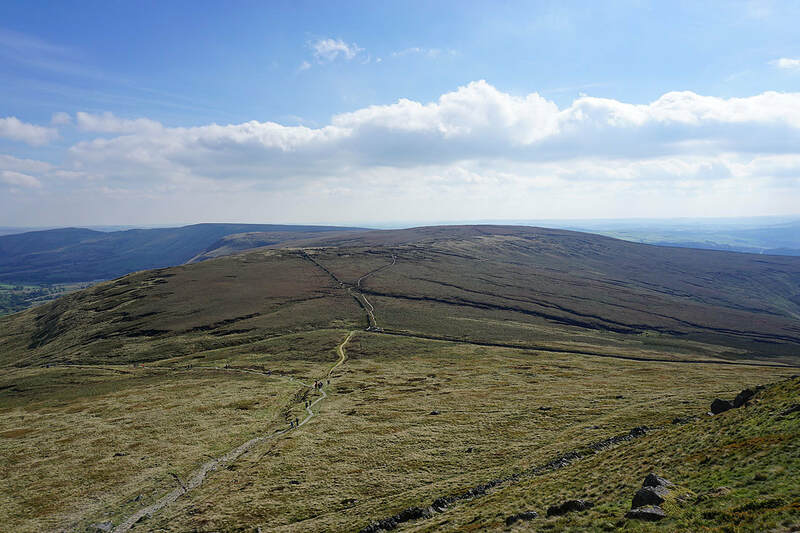 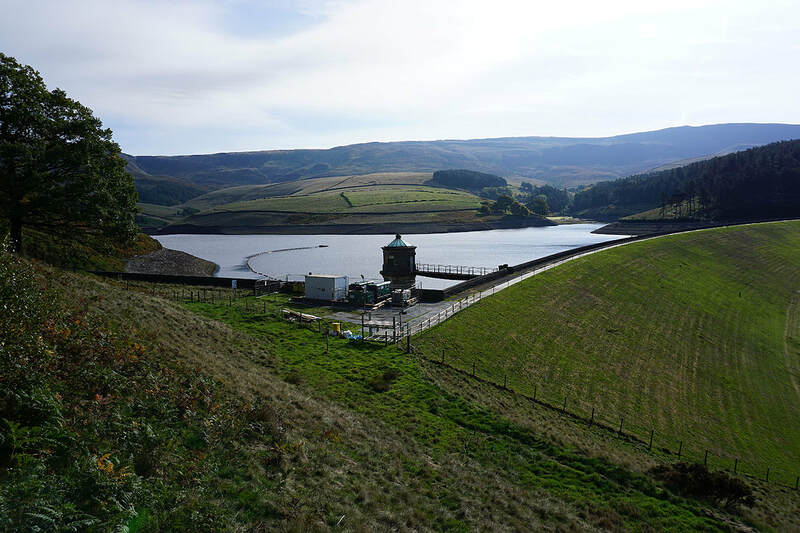 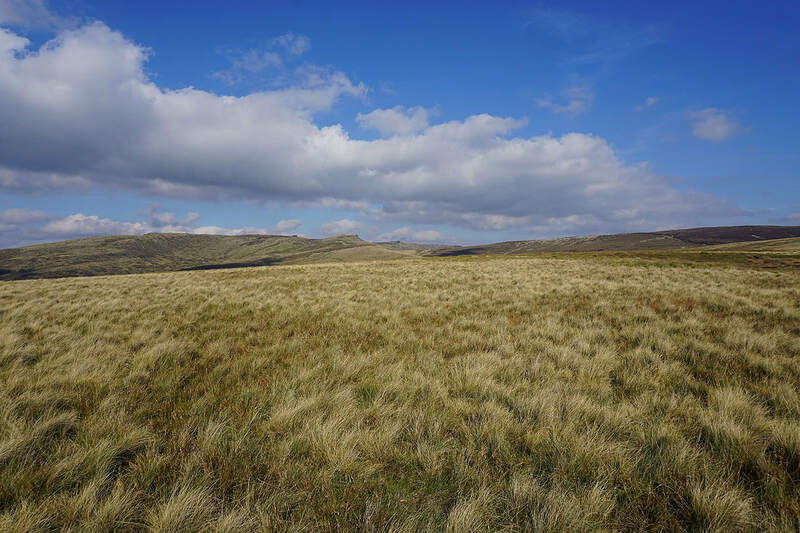 ​From the Kinder Road at Bowden Bridge I walked up the road to its end and then up the footpath to Kinder Reservoir. 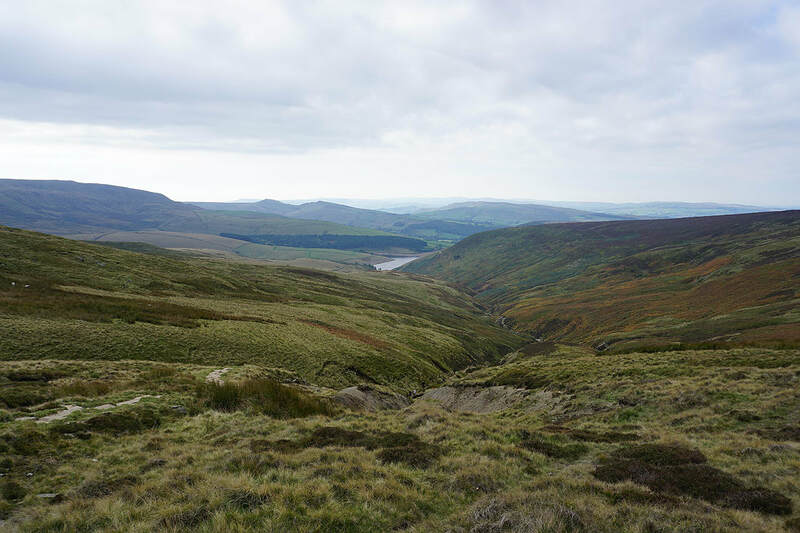 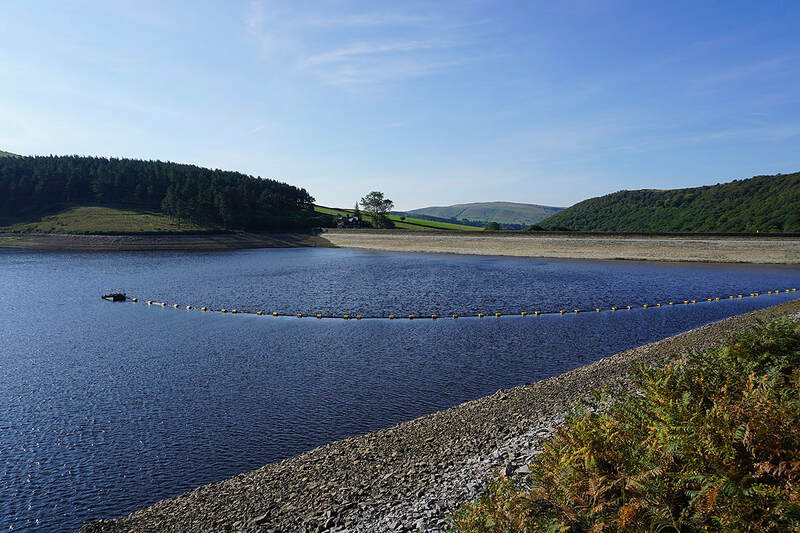 I then followed the path by the reservoir and up to the top of William Clough. 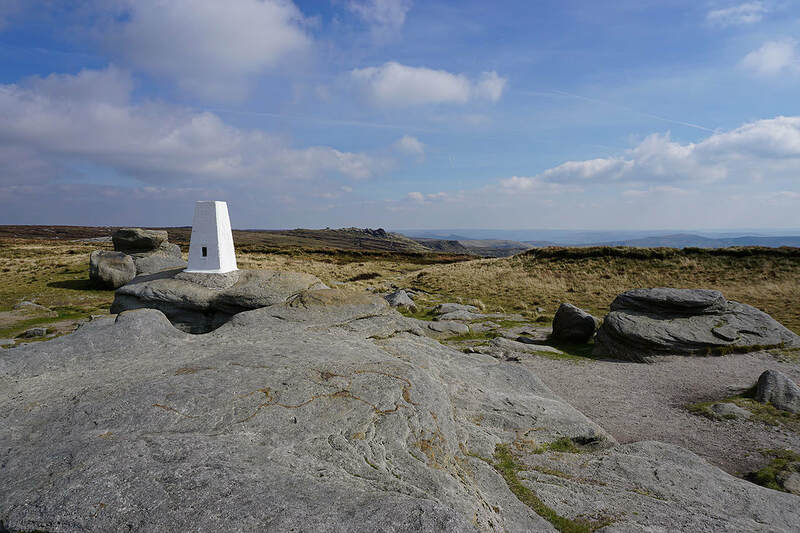 After a short climb up onto the western end of Kinder Scout I made my way east along the edge to Kinder Downfall (a stop here for lunch), then south to the trig point on Kinder Low. 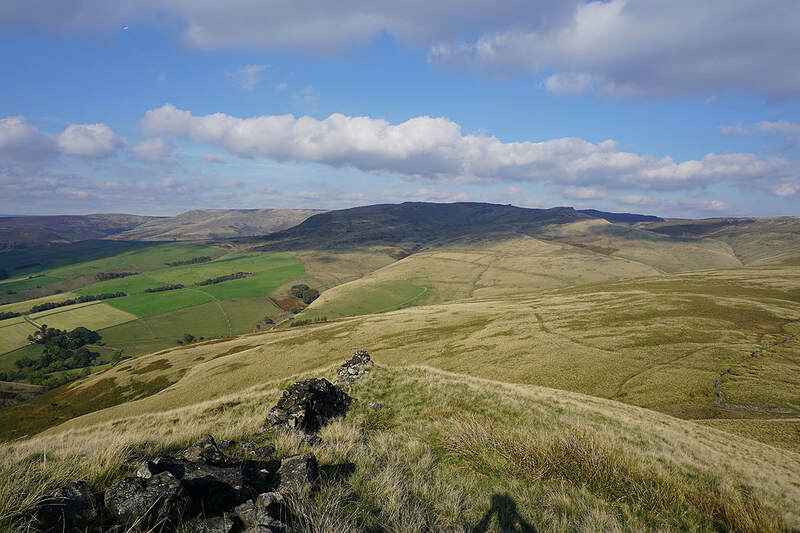 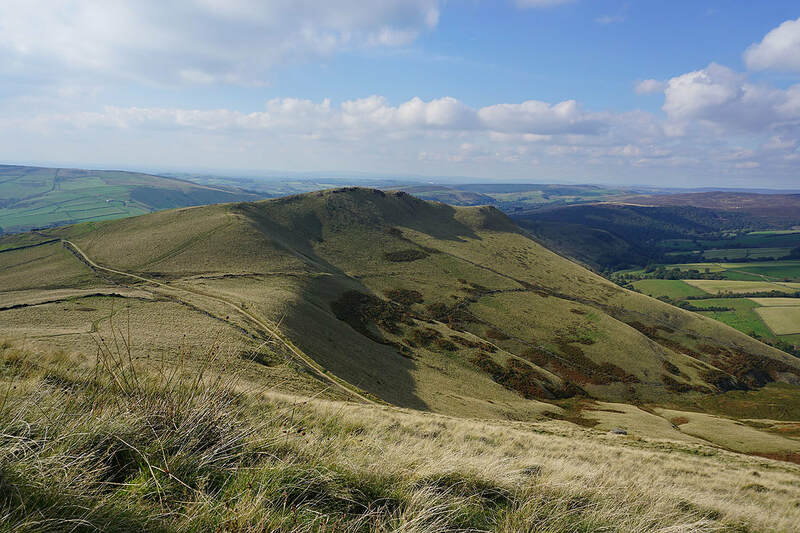 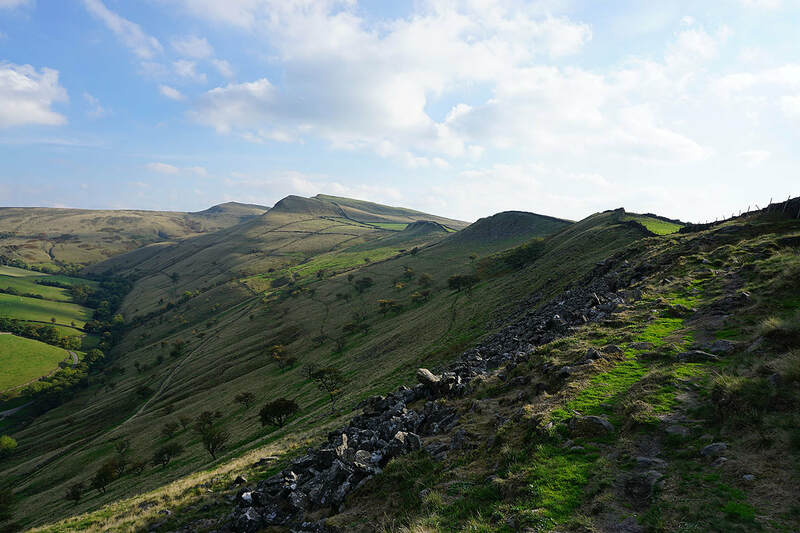 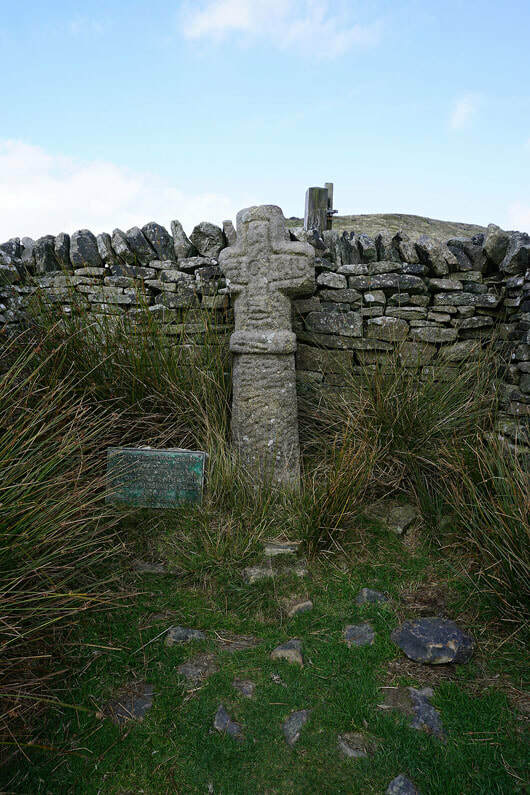 I kept heading south down to Edale Rocks and Swine's Back to reach the bridleway at Edale Cross. 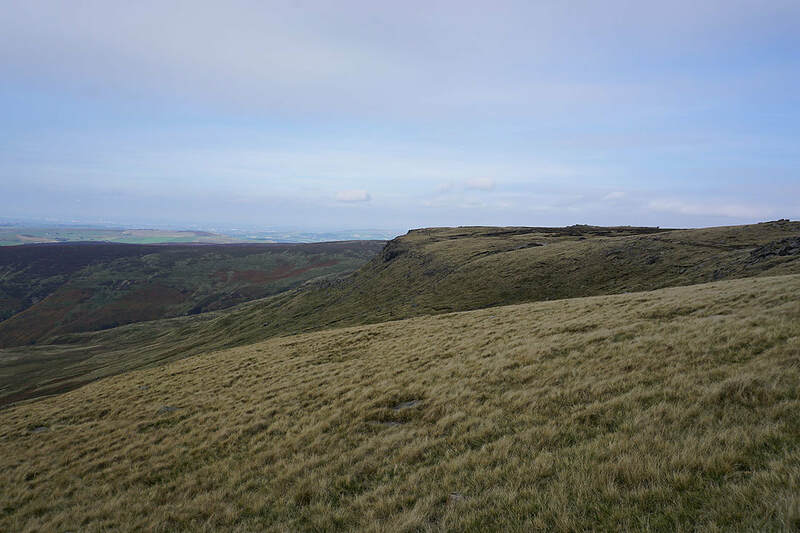 This was followed east for a little while then the path south to the trig point on Brown Knoll. 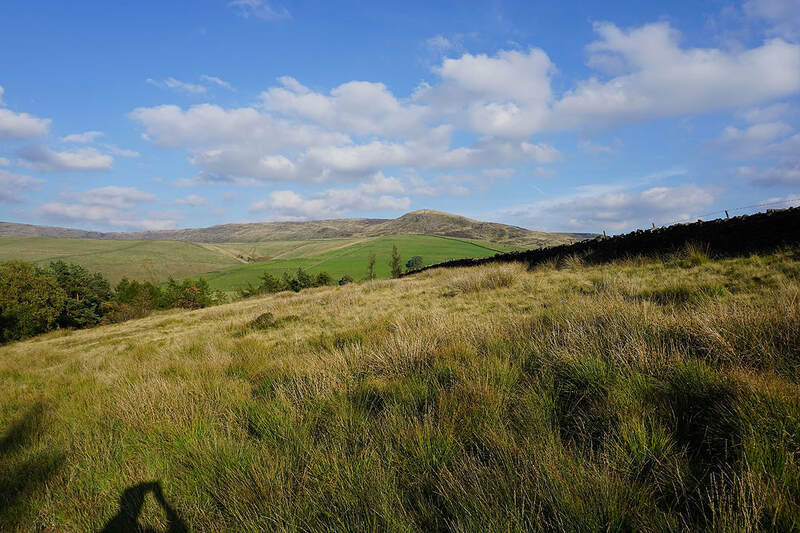 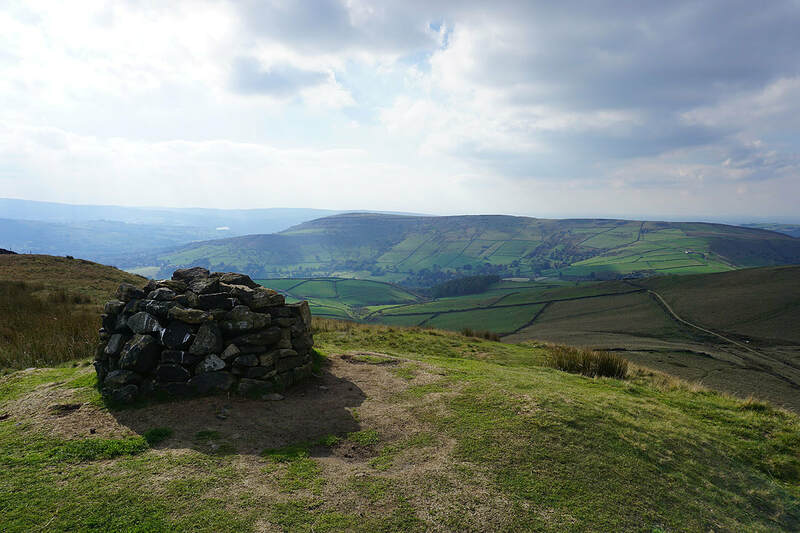 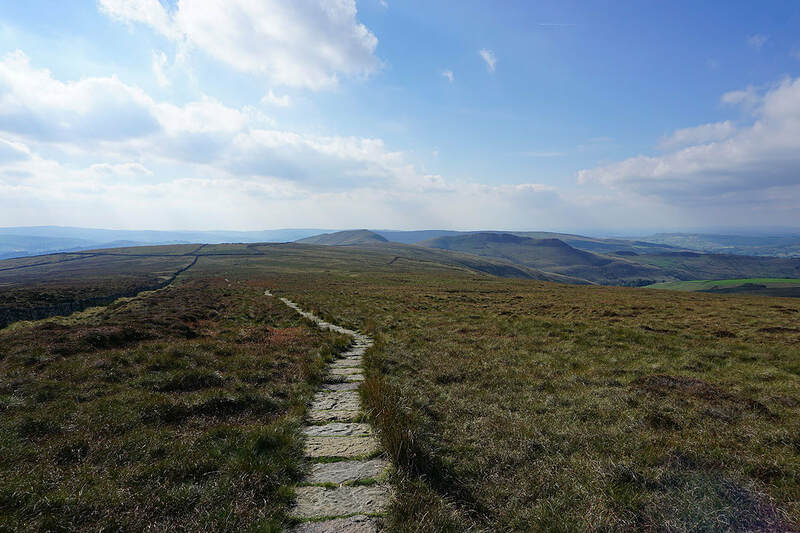 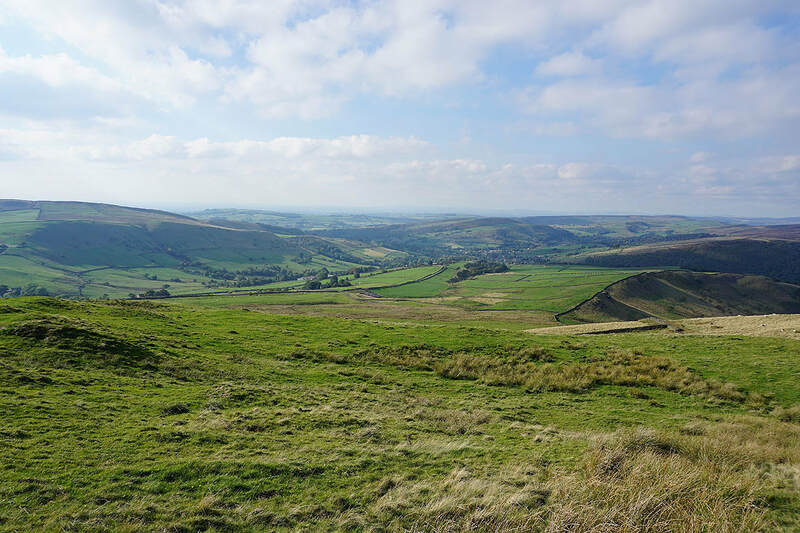 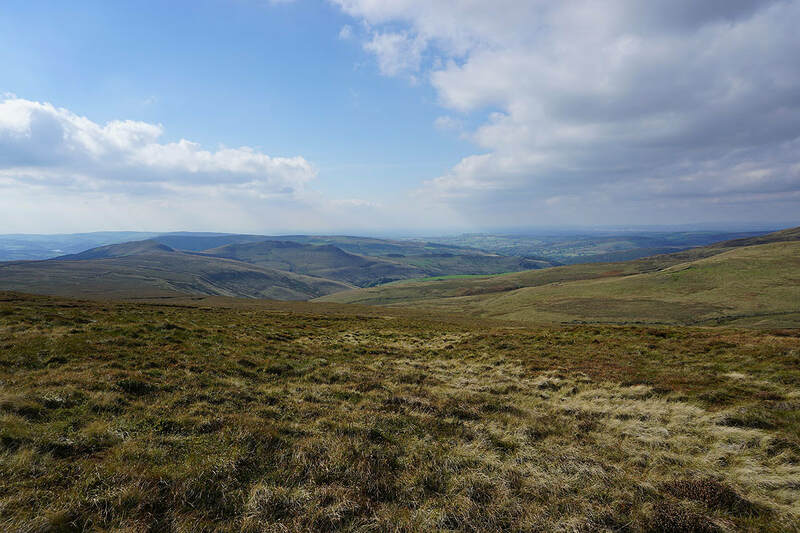 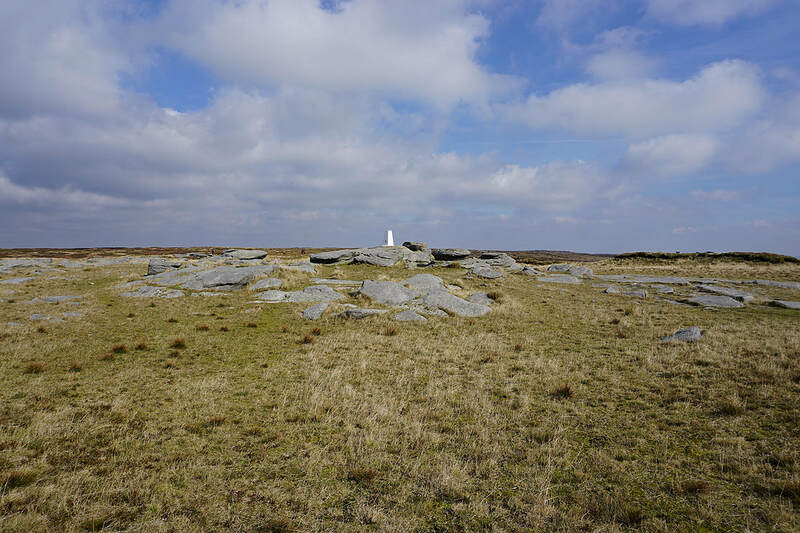 I then had to retrace my steps from the trig point so that I could pick up the path west from Brown Knoll to the Pennine Bridleway beneath South Head. 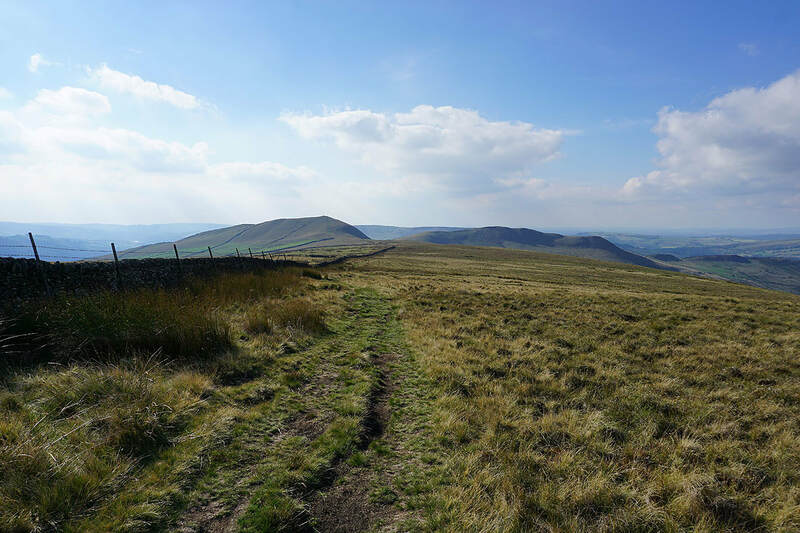 I crossed the bridleway and after a short climb reached the summit of South Head. 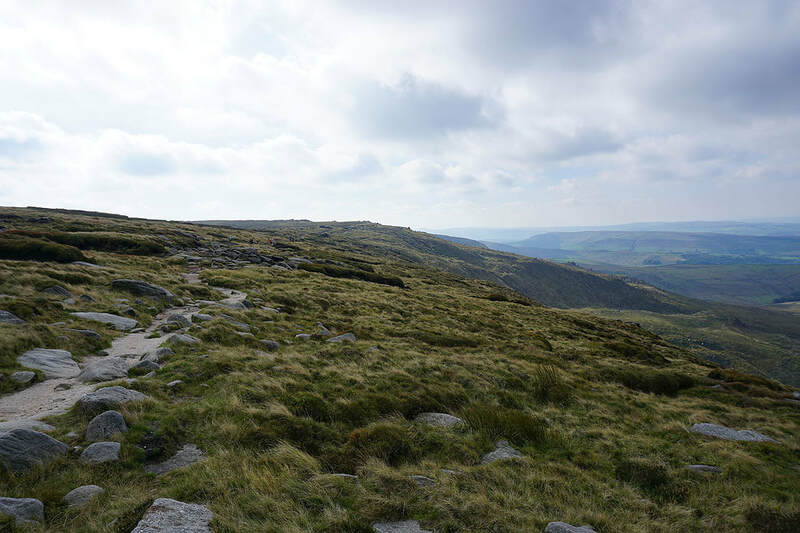 A short descent down to the bridleway was then followed by another short climb to the top of Mount Famine. 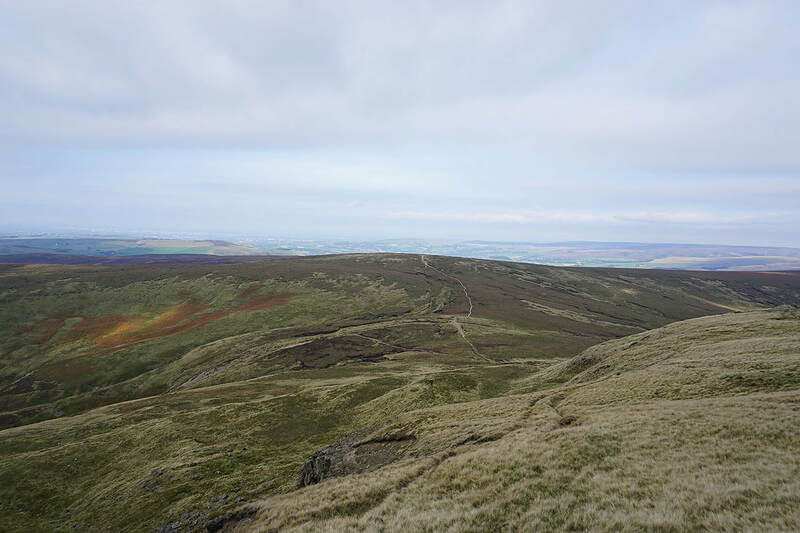 From Mount Famine I followed the ridge north down to the bridleway to Bowden Bridge then up onto the ridge that continues north on access land. 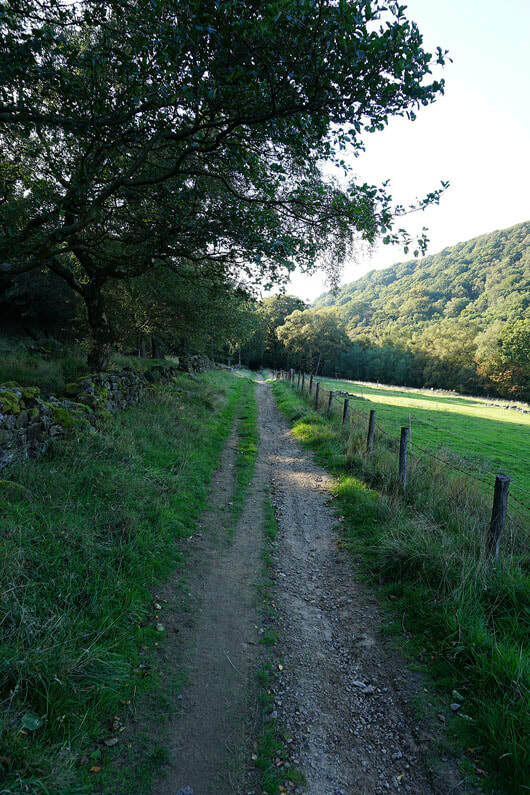 At the northern end of access land I made my way down the bridleway past Stones House that heads for Hayfield. 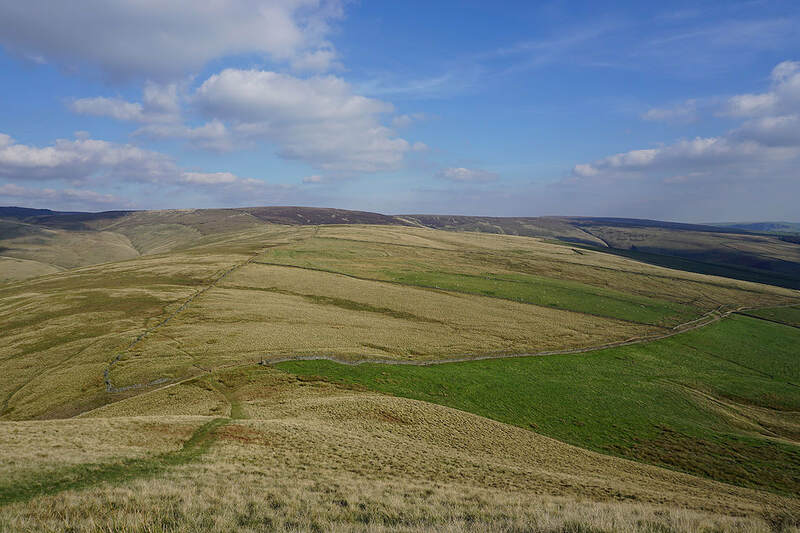 As it passed the camp site I took a footpath signposted for the Kinder Road which took me through the site and up to the road where I turned right for a short walk back to where I was parked. 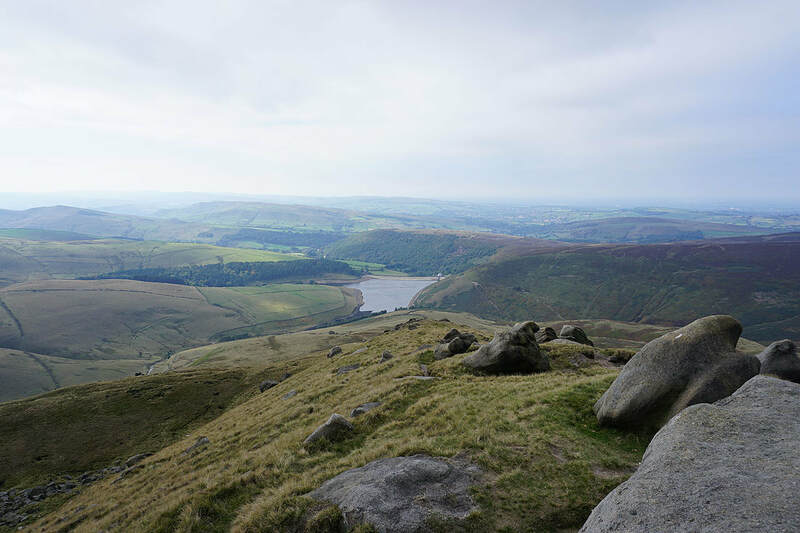 Making my way past Kinder Reservoir.. 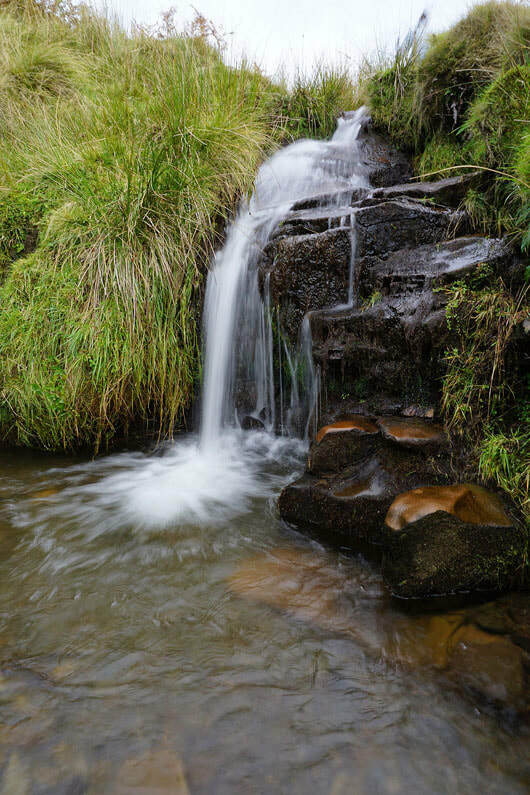 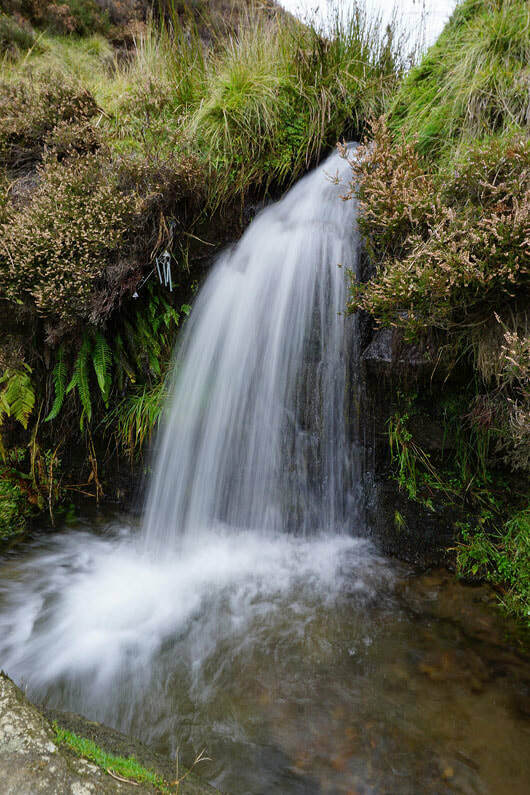 There are numerous little waterfalls in William Clough. 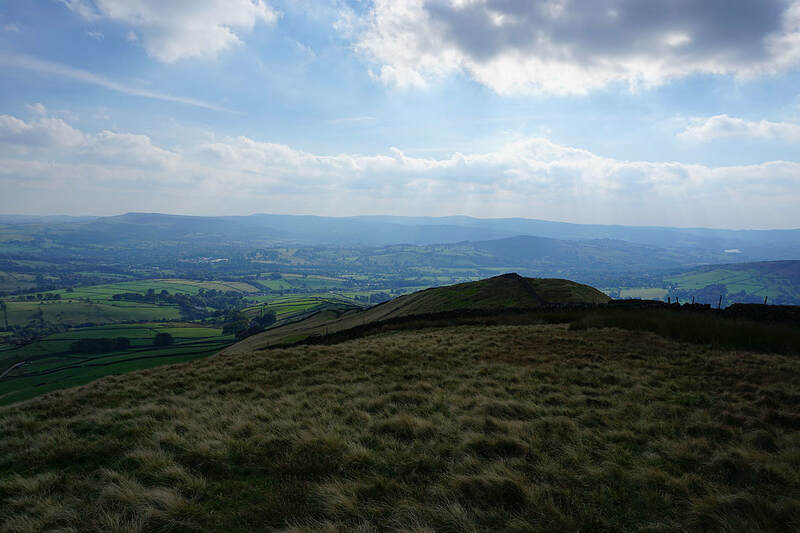 I decided to stop and take a photo of a couple of them. 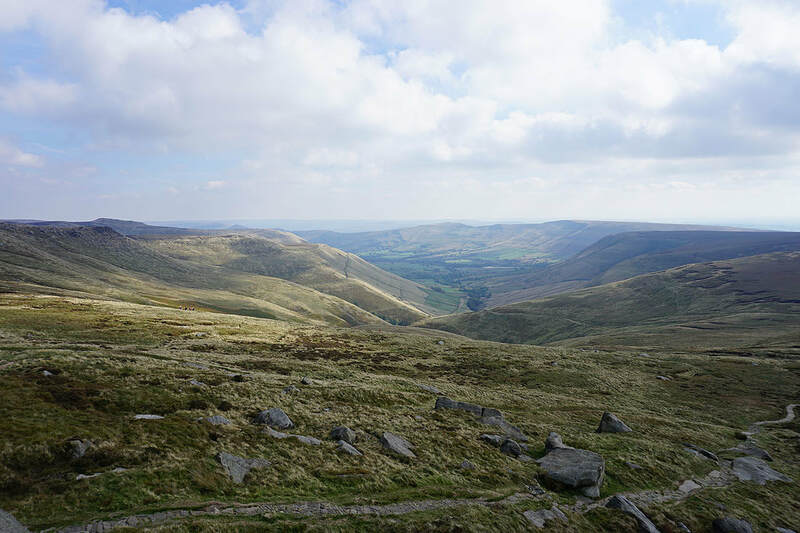 Heading east along the southern edge of Kinder Scout towards Sandy Heys. 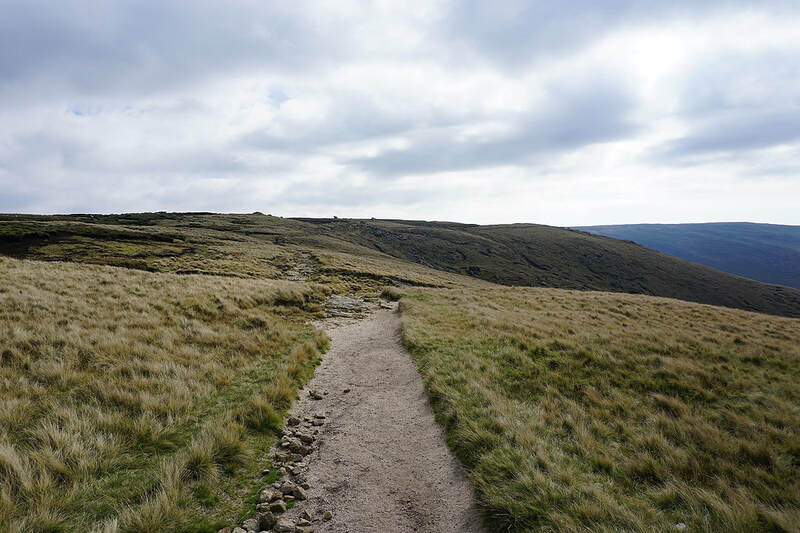 It's clouded over quite a bit since I started making my way up William Clough. 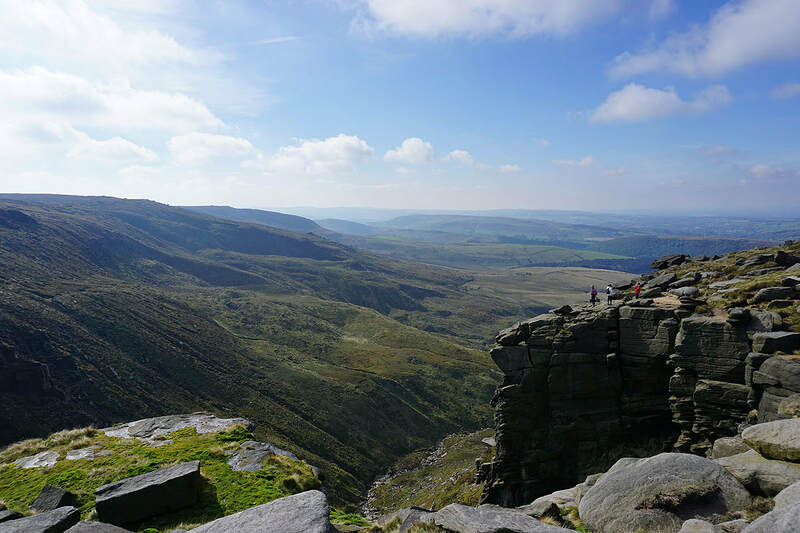 My lunch stop with a great view of Kinder Downfall. 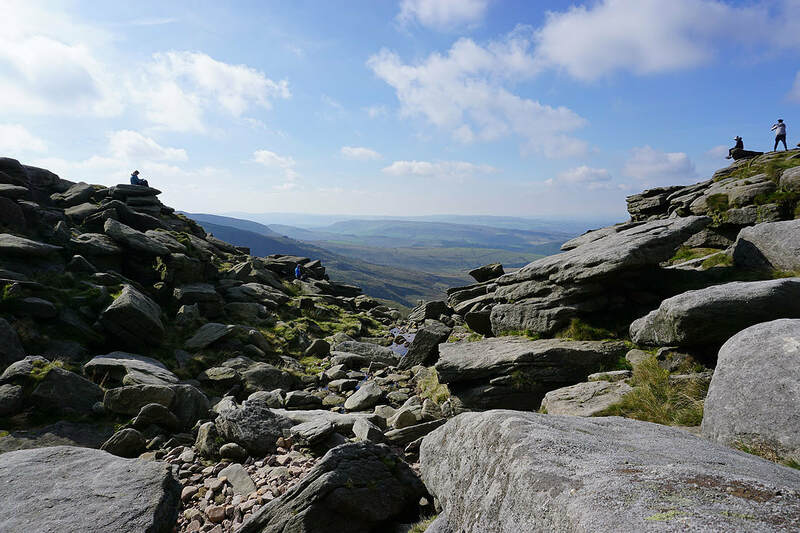 I'm on the top of a crag below the main path and while I was here a lot of the cloud melted away and the sun returned. 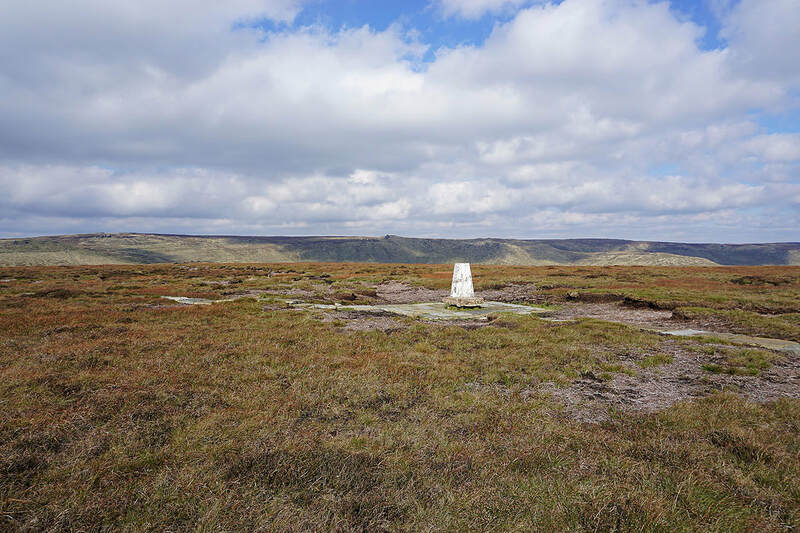 Great views from the top of the crags along this western edge of Kinder Scout..
At the trig point on Kinder Low.. 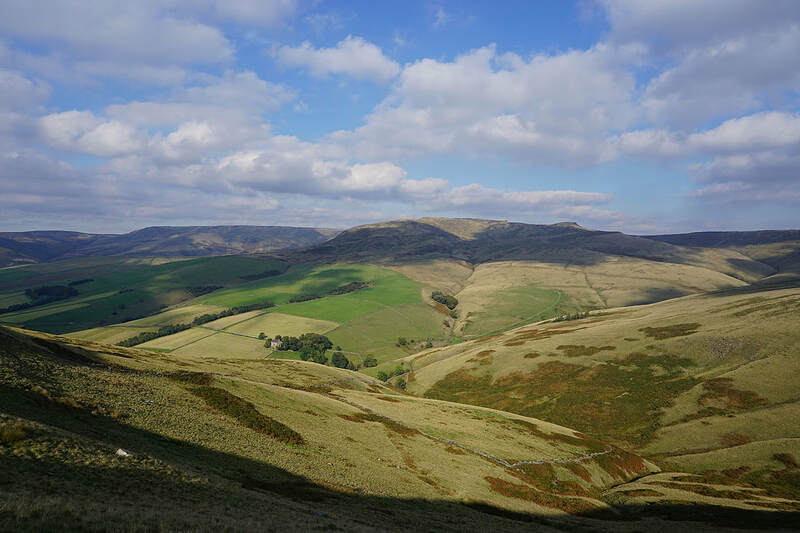 Looking across to Brown Knoll..
Edale Cross. 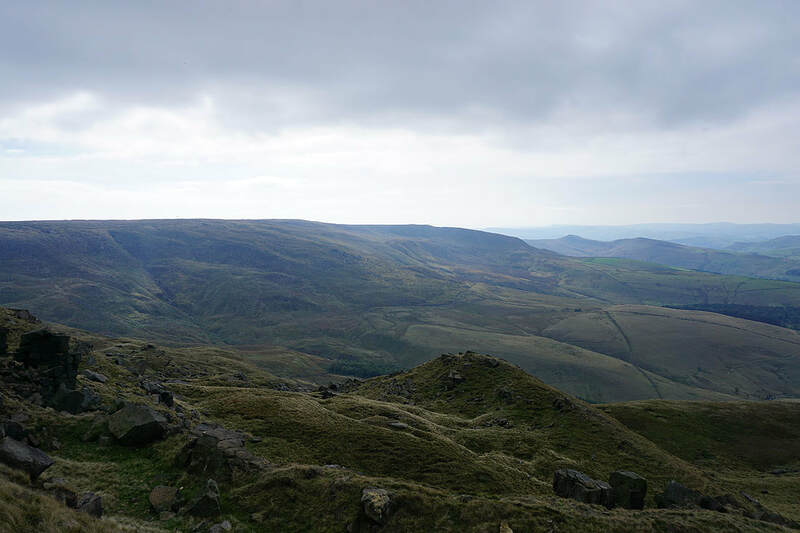 At the top of the bridleway up Oaken Clough. 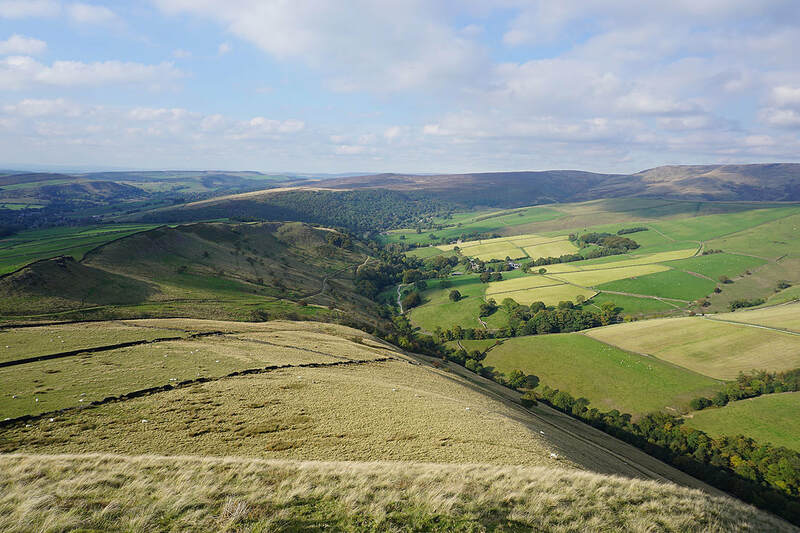 Looking down the valley of the River Sett towards Bowden Bridge. 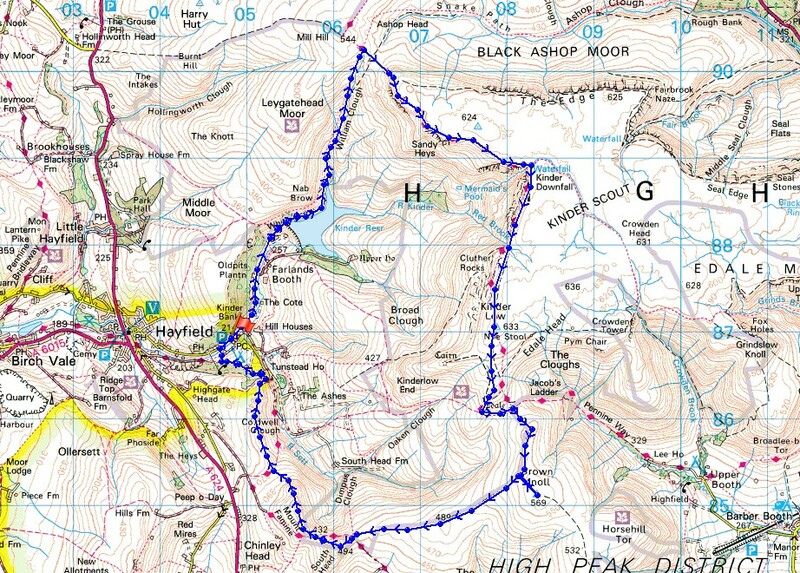 I'm going to cross the bridleway to Hayfield below and get onto that ridge on the left. 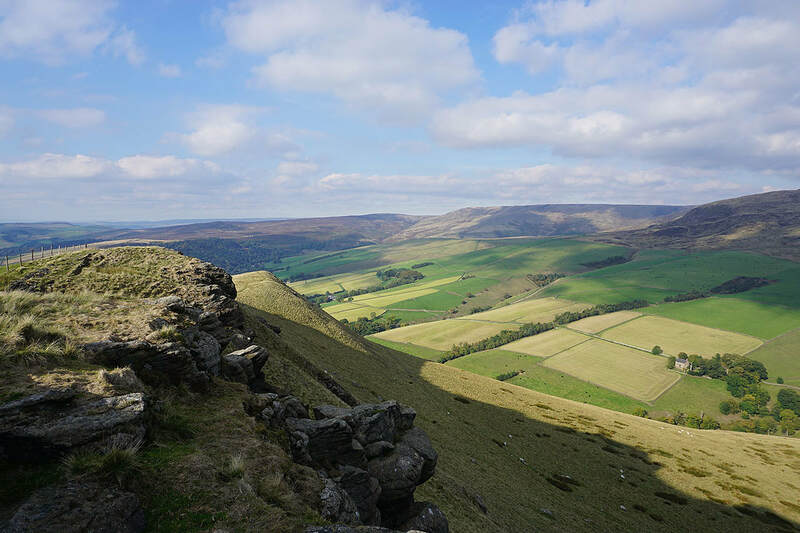 This is a great little ridge to follow especially with the shadows being cast by the late afternoon sun.. 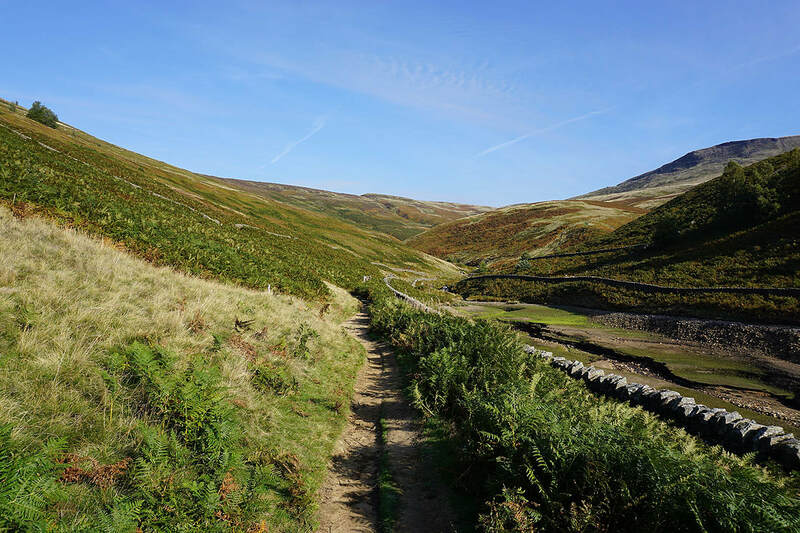 The woodland around Bowden Bridge from the bridleway down to the Kinder Road..